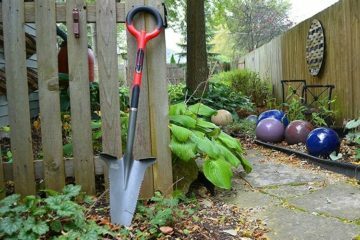 Whether you want to grow juicy tomatoes, medical marijuana, or your own supply of kale, there’s no shortage of home-growing products available in the market. 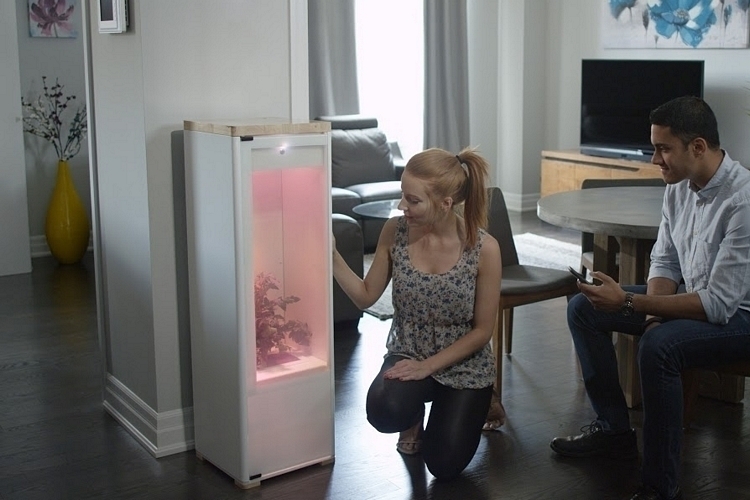 The Grobo Indoor Garden, however, simplifies everything to a set-and-forget operation, all while doubling as a display case for showing off your mini-garden. 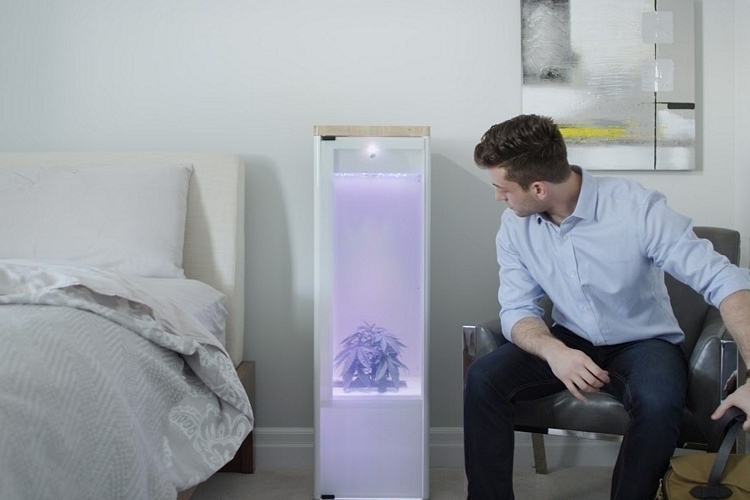 An app-controlled home-growing system, all users need to do is to put seeds in the plant bed, insert nutrient capsules in the bottom compartment, and turn the darn thing on. 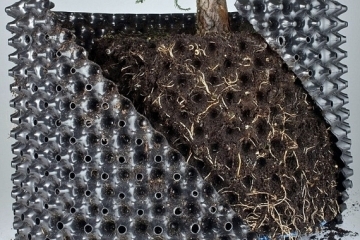 From there, the system takes care of everything, monitoring the growing environment and adjusting the conditions to ensure it continuously gets the right amount of light, water, and nutrients. 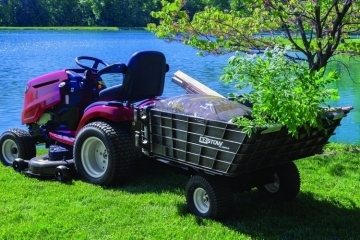 Grobo consists of a tower-style case that measures 46 x 14 x 14 inches (height x width x depth). It comes with a glass door that takes up two-thirds of the front panel, allowing you to check on how your plants are looking while making it easy to harvest produce when they are ready. Made from electrochromic plexiglass, the door performs regular transitions from clear to opaque to provide the plants with the proper cycles of light and darkness, while 63 integrated LEDs with auto-adjusting colors and intensity provide the necessary lighting. Features include an activated carbon filter that eliminates any unwanted smells from the plants, an in-line fan to get air circulating the case, powder-coated aluminum construction for the body with hard maple wood for the top cover and the base, and a steel door lock, in case you don’t want the kids messing with the plants when you’re not looking. And, yes, you can check in on how the plant is doing at any point using the accompanying app (iOS, Android, and web). Slated to ship in April, the Grobo is currently taking preorders. Price is $899. 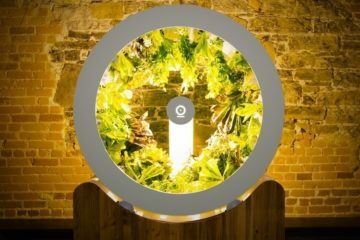 The Grobo Indoor Garden is a really neat indoor gardening system! 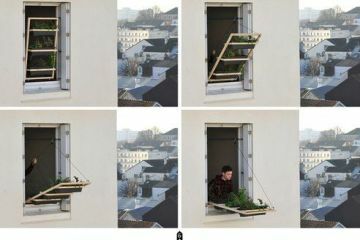 I’ve never thought about getting one before but it sure would be nice to be able to grow some vegetables indoors. I live in an apartment so there’s nowhere out in the yard I can just grow them. I tried growing them in pots on the porch, but they didn’t thrive because the lack of sun back there. 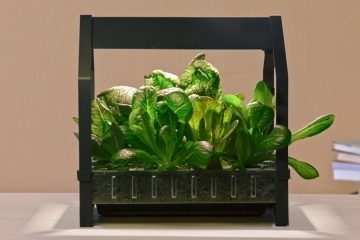 The Grobo Indoor Garden is already out and available for sale, but is currently sold out! I’m sure they are doing quite well with all the legalization of marijuana slowing spreading throughout the United States (finally & thank god) and it’s nice to be able to be semi self-sufficient and grow healthy food that our bodies are meant to take in unlike all the processed foods you find in grocery stores. Plus the Grobo Indoor Garden has an app to help you out! How cool is that? 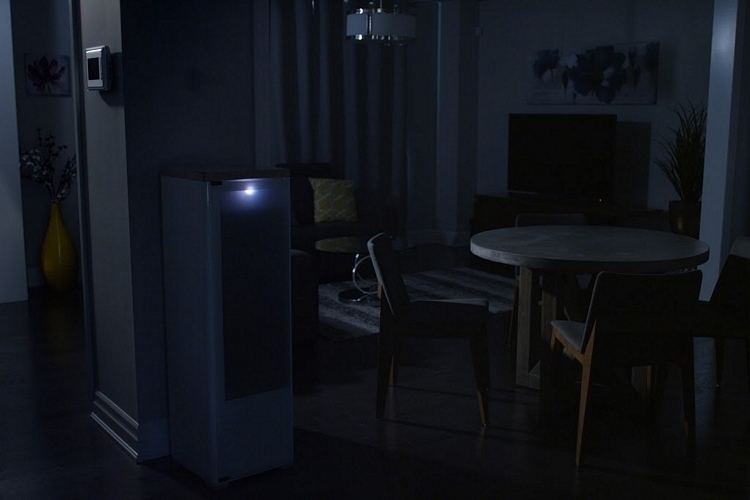 I will definitely consider getting one for my home once it isn’t sold anymore.